Hi, everyone! 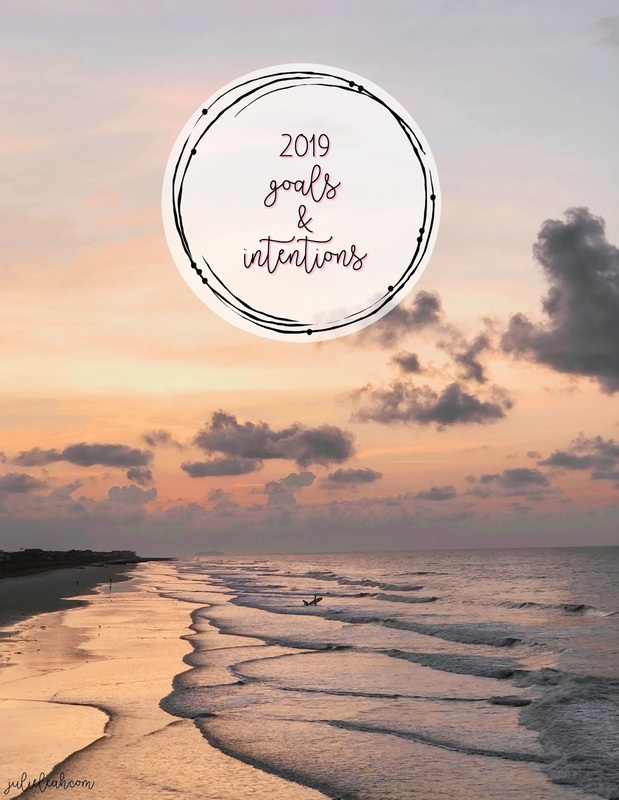 I am so excited to share this post today and get these goals for 2019 in writing! Sharing these plans with you all creates an accountability for me but also opens up conversation for you all to share your goals and intentions. I shared a long insta-story over the weekend about a few things that are going to be happening here on the blog this year. This October will make ten years that I have been posting to this blog. So many things have happened during this decade from 22 to 32. As I shared in this post, I am giving up the pressure of trying to make this blog something. I'm letting it be what it is - a living journal. This is the most excited, however, I've ever been about the direction I'm taking with the blog. Isn't it funny that no expectation can actually create a plan?! I feel incredibly excited and energized about this year - more than I've been in a few years. It was around age 25 when I fully embraced that hard things don't harden us, they strengthen us, and I went head first into the hard stuff. It was again at 30 when I experienced a figurative (life) shipwreck and spent most of 2017 on my face praying for healing and strength. Last year, at 31, there was movement and growth and ground-shaking breakthroughs for which I am thankful. We can do hard things, friends, and I want us to do them together and lean on each other and take care of each other. Let's start with my word of the year. . .
My friend, Ashley, is to thank for my word. After sharing this post on instagram, she said that it jumped out at her when she read my caption. In the caption, I mentioned being gentler with myself this year, giving ourselves room to breathe, and taking it one day at a time. Honestly, there couldn't be a word that fits the season of life that I'm in more than breathe. I am an unapologetic perfectionist. I'm hard on myself. I have anxiety. And I do not like the unexpected. Breathe is going to be my guide this year, my companion, and my reminder. For my personal goals and intentions, I always want to create a list that feels attainable and not daunting. I want the list to consist of things that excite me and energize me - things that I want to achieve. And I always leave room for editing. Give yourself permission to edit! one. Read through my stack of inspirational/faith books and others. I have so many that I've accumulated and this is the year that I fill my brain with all the things. two. Do at least 5 Bible/book studies. I shared this in my insta-story over the weekend. I'm going to be sharing these with you all as I go through them - on instagram and here on the blog! I would love to create a community to discuss and share our experiences. The first one I'm doing (if you want to join!) is through Proverbs 31 Ministries and is centered around Lysa Terkeurst's new book, It's Not Supposed To Be This Way. You can follow the link to sign up! three. Seek out speakers/conferences to attend. Evolving Faith laid the groundwork for 2019. Live, in-person interaction with people that I admire and view as spiritual mentors is now a vital part of my life. four. Continue therapy regularly. I have been in therapy for two years, and it has opened up head space I didn't even know was there. I'm going to be sharing some of my experience in a new series that I'm starting (you can read about it in the blog goals below). five. Brainstorm entrepreneurial ideas. I have always believed I have an entrepreneurial spirit. This is the year that I want to explore my gifts and talents to figure out what this means for me. six. Daily "me" time. This usually means daily time with God in some way, but most specifically it means engaging in something daily that feeds my heart and soul - meditation, journaling, listening to a sermon/podcast, reading, prayer, etc. seven. Do a clean out. This is going to be a process, but I'm considering taking the "does this spark joy" approach and doing a deep clean out. I did this a few years ago when I moved, but cleaning out is always a YES for me. eight. Be mindful of what I buy. I'm trying to consume less this year, that means only buying things that I truly love. As I've already mentioned, I'm really excited about the direction of this blog and the laying down of unwanted pressure and expectations. 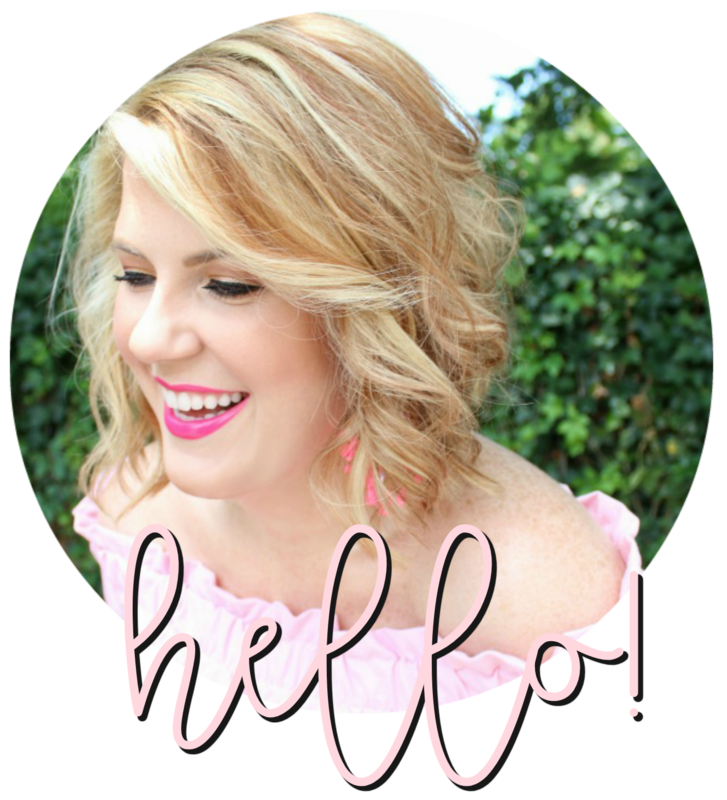 Things aren't changing dramatically - I still plan to share outfits here and there, and travel experiences, new products that I'm eyeing - but there are a few specific things I'm adding to my content. one. Monthly updates on my goals and intentions. I have never done this before, and I think it will be a great way to keep me accountable but also create an opportunity for gratitude and conversation. This also means sharing anything from that month that kept me on track - a book, a podcast, a quote, etc. two. Sharing my Bible/book studies. I haven't fully decided what this looks like yet, but I am really excited about what it could become. I will definitely be sharing which Bible/book study I'm starting in case you want to join in. I don't want to bore you all with lots of updates so I may only share updates on instagram stories and then my final review in a blog post. three. Starting a series focused on self care/mental health/counseling/etc. I have so much to share about this! The time hasn't been right for me to talk openly about these topics until now, and I am so excited! As someone who works in mental health and has been active in therapy for two years, I feel like I'm called to share with my audience. I would love for this to be a weekly series. four. Collaborating with other bloggers. I haven't fully developed this yet (just a quick chat with one of my oldest blog friends on instagram messenger), but I'm definitely not talking about fashion content. There is a huge hole in the blogger community for honest discussion about "positivity, healthy change, make your life better" sh!t. Everything is image-focused and "clicks=sales." Which is ok, that needs to be in the market too! But when that's the majority of what you see - no wonder anxiety and depression rates are so high. So, I'm hoping to make a shift this year and get other bloggers on board to bring you quality content to help you live your best life. I'm really looking forward to opening up this blog (and my life) to deeper, more meaningful things this year. I hope that you will engage here and on instagram with your experiences, too! As always, thank you for reading and following along on my journey. Sending you lots of love for a great week and a great 2019!